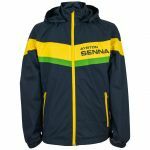 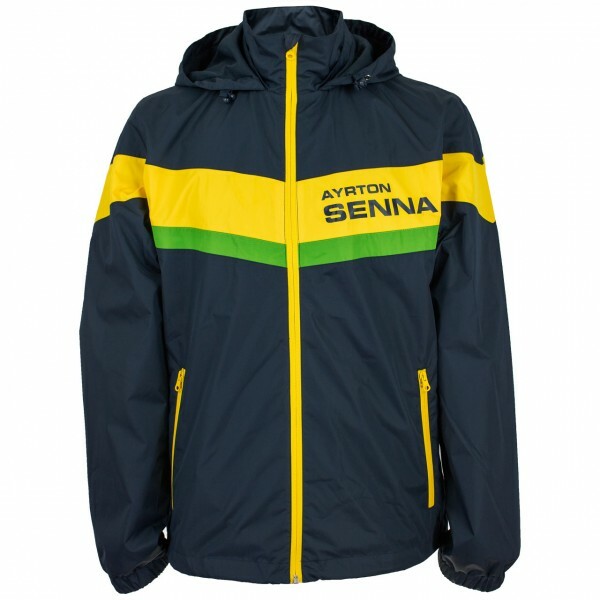 The design of this windbreaker is inspired by the helmet which Ayrton Senna wore during his Formula 1 career. 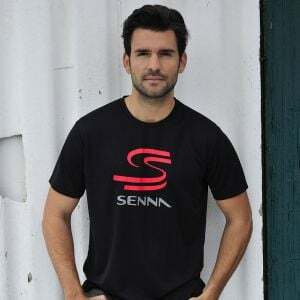 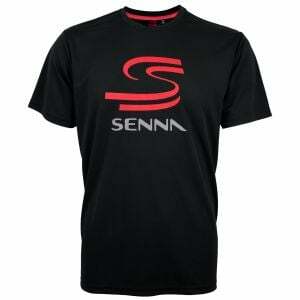 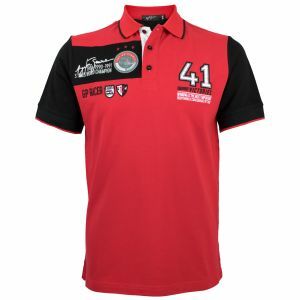 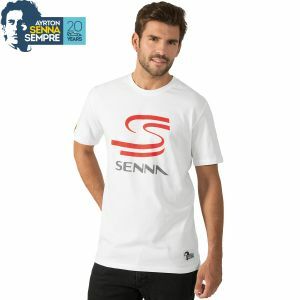 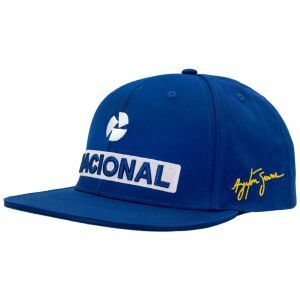 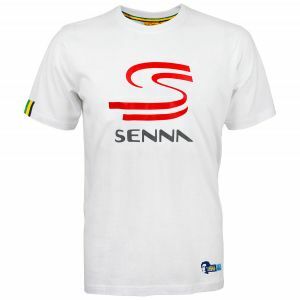 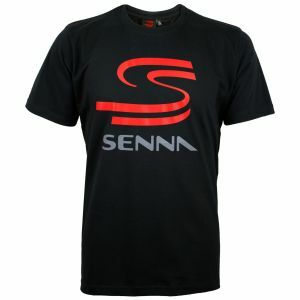 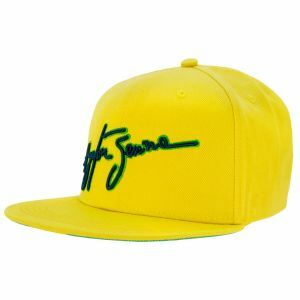 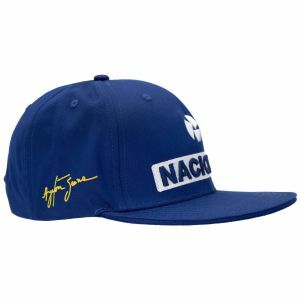 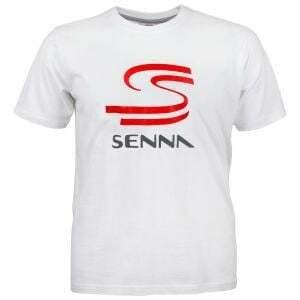 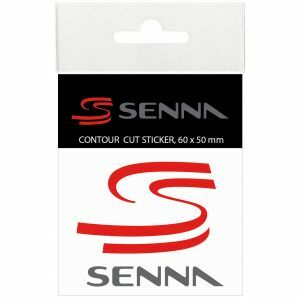 Ayrton Senna's signature is printed on the Shoulder and his name on the frontside. 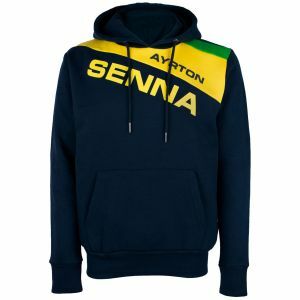 The hood can be rolled up and stored in the collar. 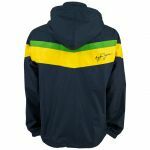 The zipper is a so-called "reverse zipper" which is sewn the other way round. 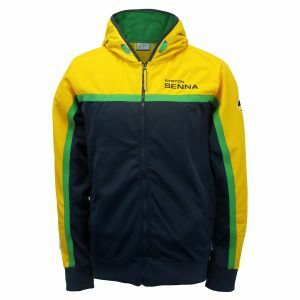 Thus means that the teeth of the zipper are not visible from the outside. 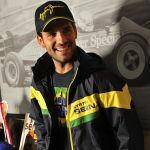 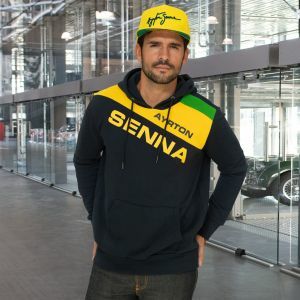 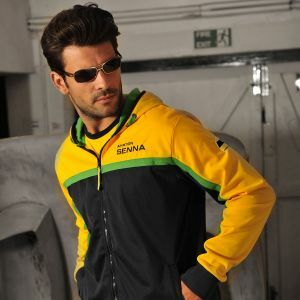 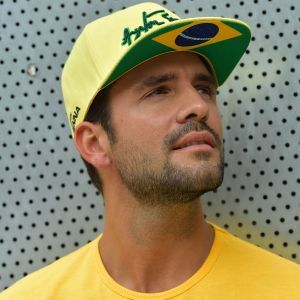 Our models is wearing the windbreaker combined with the Ayrton Senna Cap Signature.